What happens at the Big Bash, stays at the Big Bash. This week the BuzzFeed Australia team went to the Sydney Cricket Ground to see the Adelaide Strikers take on the Sydney Sixers in the Big Bash League. Within a minute I received this reply from Channel Ten's Sport Twitter account, who happened to be broadcasting the game. I tried a different approach. Channel Ten started opening up to me, then something weird happened. I started to develop emotions for a TV network. I couldn't wait any longer! 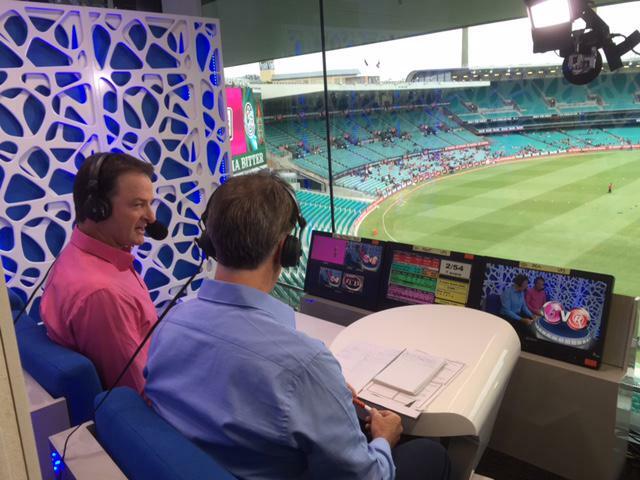 Channel Ten was somewhere in the SCG and I wanted to meet them! They revealed their whereabouts, hanging out behind the commentators. Like a school boy I looked over to the commentator's box to see what I think was Channel Ten, and boy, it was love at first sight. It was time to take our relationship to the next level (although Channel Ten was hesitant). @tensporttv you're always beautiful to me. So I started whipping out the big guns. This line has never failed me! @tensporttv you are the Kentucky to my chicken. Then I made a fatal mistake. @tensporttv So I'm one person? The silent treatment began. I knew what was coming because I've been in this situation with human girls before. @tensporttv sorry babe, I was just playing. I was rebounding hard, so I contacted Channel Nine. My knight in shining armour came out to save me and my shattered heart. I immediately wanted to distance myself from Channel Ten. @WWOS9 Ten meant nothing to me, you'll always the the one in my eyes. Hear that @tensporttv? You were just a fling, that's it! The two networks started fighting each other for my love. @WWOS9 So... are we exclusive? And so it began, the greatest love story not to be written by Nicholas Sparks. @WWOS9 I love you, Nine. Sorry Ten, it was fun while it lasted.